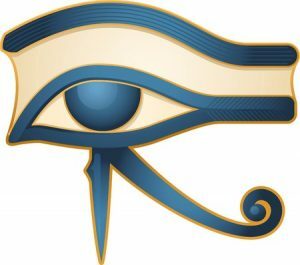 Scientific/metaphysical realities of pictorial images (Hieroglyphs) as the ultimate medium for the human consciousness that interpret, process and maintain the meanings of such images. 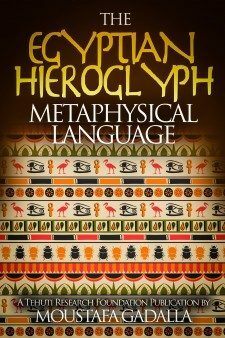 This book covers the Egyptian Hieroglyph metaphysical language of images/pictures; the language of the mind/intellect/divine; the scientific/metaphysical realities of pictorial images (Hieroglyphs) as the ultimate medium for the human consciousness that interpret, process and maintain the meanings of such images; how each hieroglyphic image has imitative and symbolic (figurative and allegorical) meanings; the concurrence of modern science of such multiple meanings of each image; how Egyptian hieroglyphic images represent metaphysical concepts; and the metaphysical significance of a variety of about 80 Egyptian Hieroglyphic images. A picture is worth a 1,000 words. A picture represents a concept/idea and not a single letter/sound. We say “picture this” or “imagine that” for images are representations of concepts and ideas beyond words. The picture conveys information more efficiently than letters/words. 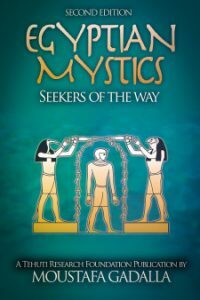 This book covers the Egyptian Hieroglyph metaphysical language of images/pictures, which is the language of the mind/intellect/divine. It is the aim of this book to provide such an exposition; one which, while based on sound scholarship, will present the issues in language comprehensible to non-specialist readers. Technical terms have been kept to a minimum. This book is divided into 8 chapters. 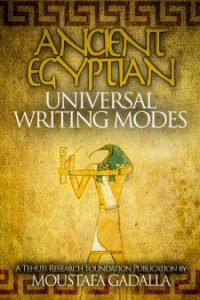 Chapter 1: Historical Deception of the (Ancient) Egyptian Linguistics will clear the confusion intended to misrepresent the Egyptian hieroglyphics as a primitive form of writing with individual sound values. The Egyptian Hieroglyphics are ideograms which are different and they have nothing to do with the Egyptian alphabetical system. Chapter 2: The Scientific/Metaphysical Realities of Pictorial Images (Hieroglyphs) explains how human beings process information received from the five senses to the brain through visualized images; how each hieroglyphic image has imitative and symbolic (figurative and allegorical) meanings; the concurrence in modern science of such multiple meanings of each image; and how a series of images are processed in the consciousness the same way, like a dream is processed. Chapter 3: Egyptian Hieroglyphic Imagery Depictions of Thoughts explains how Egyptian hieroglyphic images represent metaphysical concepts; relationships between their functions and geometrical forms; and provides an overview of the Egyptian formation of such ideograms. 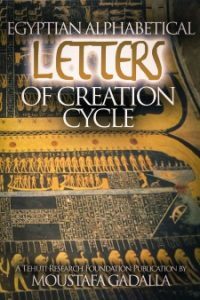 Chapter 4: Animal Hieroglyphic Images explains the metaphysical significance of such images and highlights the significance of over 30 related Egyptian Hieroglyphic images. Chapter 5: Human and Animal-headed Human Hieroglyphic Images explains the metaphysical significance of such images and highlights the significance of about 10 related Egyptian Hieroglyphic images. Chapter 6: Human Body Parts Hieroglyphic Images explains the metaphysical significance of such images and highlights the significance of over 10 related Egyptian Hieroglyphic images. Chapter 7: Nature and Geometrical Figure Hieroglyphic Images explains the metaphysical significance of such images and highlights the significance of over 10 related Egyptian Hieroglyphic images. Chapter 8: Man Made Object Hieroglyphic Images explains the metaphysical significance of such images and highlights the significance of about 20 related Egyptian Hieroglyphic images.